does more harm than good. I occasionally see homeowners scalping and bagging their lawn in March as they get ready for the spring. This technique actually encourages insects and disease rather than producing a healthy lawn. Mons can be mode at any point if you want to clean up the appearance of your yard. Once your long-term screen you can begin mowing weekly. Set your lawnmower so that your mowing about one third of the leaf area. Do not bag your lawn clippings. And attachments that your mower will mulch the clippings and blood back into your lawn. We can do all of this for you and help you get that dream lawn that you’ve always wanted. Green Leaf Lawn takes care of the mowing so you can get back to doing the more important things in life. We have a charity organization that we call “Cutting for the Kids” and it has been a huge success. We donate five dollars to the school district our customers want us to donate to and we do it every time we do a new service for customer in the Tulsa area. Green Leaf is a trusted company that is devoted to providing expert service to the people of this region. 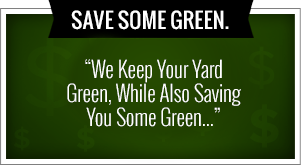 We want you and your family to be safe and have amazing results when it comes to lawn care. Not only does Green Leaf Lawn take care of your Tulsa Holiday Lights, we have year-round lawn services to make your lawn stand out. Trust us for all of your Tulsa lawncare maintenance needs. 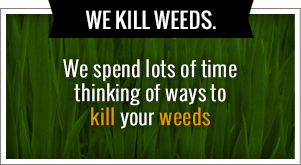 Weeds are an unwanted invasive presence in any lawn or garden. And while it may be tempting just to poison the interlopers rather than pull them out by the roots in an arduous process, many toxins that kill weeds can also be dangerous to children and pets. To avoid endangering your property and your family, it’s vital you look for solutions that are safe and reliable for your lawn. We can help you avoid all of the pitfalls that come about with lawn maintenance. Allow the experts in Tulsa to take over putting up the lights for your household. We can create the perfect holiday atmosphere for your home. If you’re looking for professionals to decorate your Tulsa home this holiday season with amazing Tulsa Holiday Lights, Green Leaf is here to help. We are ready to help out during the holidays and get your property looking fantastic and shining bright throughout the neighborhood. Don’t let the Tulsa holiday lights stress you out this year.